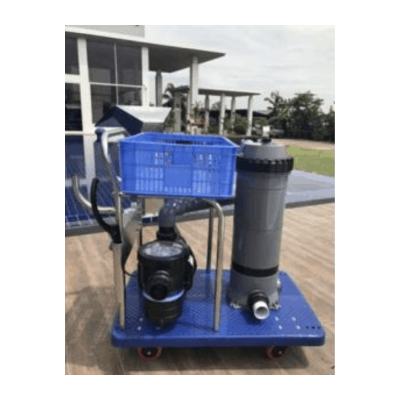 Emaux Cleaning Trolley Filtration System Complete Set With Filter, Pump & Piping Installation Kit. Fully equipped. No extra cleaning supplies need to be purchased. Equipped with various cleaning supplies to facilitate many kinds of cleaning function. 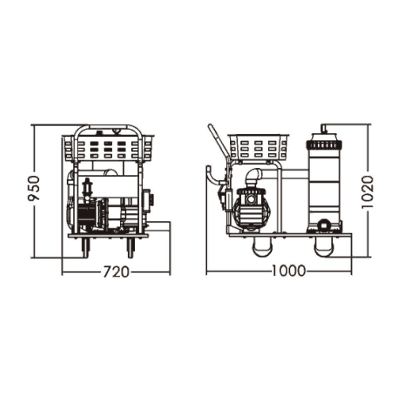 Cart type with the maximum load capacity of 150kgs is selected. It is equipped with environmental protection wheels which achieve high practicality and flexibility. 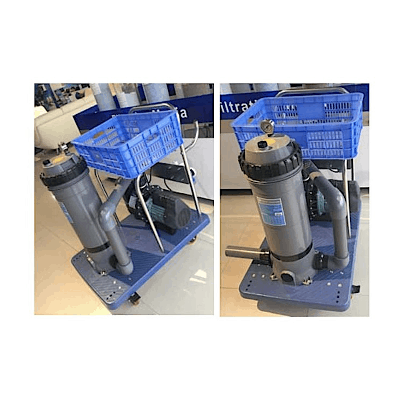 It has also a braking device that makes the cleaning cart easy to use and safe to operate.